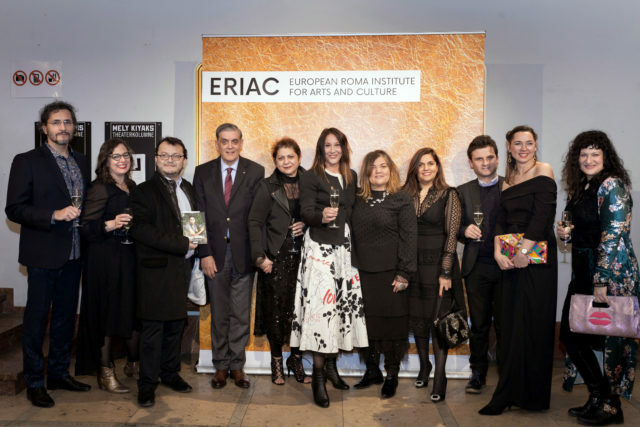 ERIAC’s International Cultural Outreach Program came to its grand finale on the 26th of February 2018 during the Evening Gala and Celebration at the Maxim Gorki Theatre in Berlin. 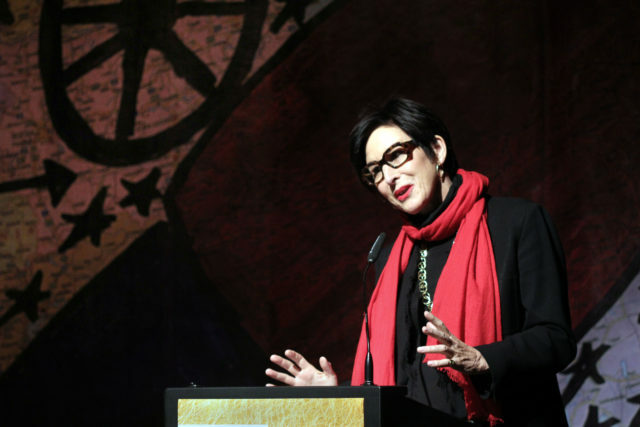 During the event, 150 special guests were invited by ERIAC to join the gala, including representatives of Roma organizations from Germany and abroad, country coordinators and local partner organizations of the International Cultural Outreach Program, representatives of arts and culture scene in Berlin, foundations, political representatives, artists, and producers. 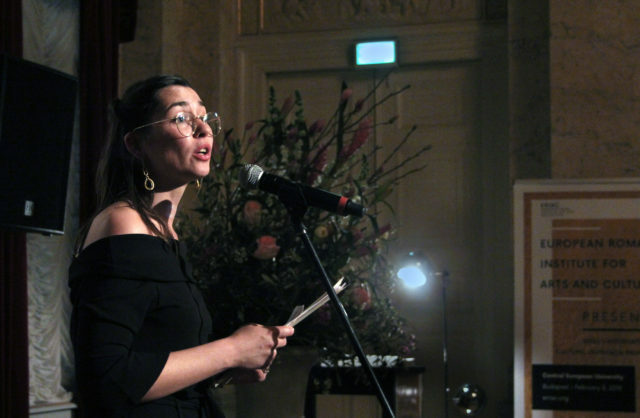 The highlight of the event was the special performance of the critically-acclaimed performance of the “Roma Armee” play, produced by the Maxim Gorki Theatre. 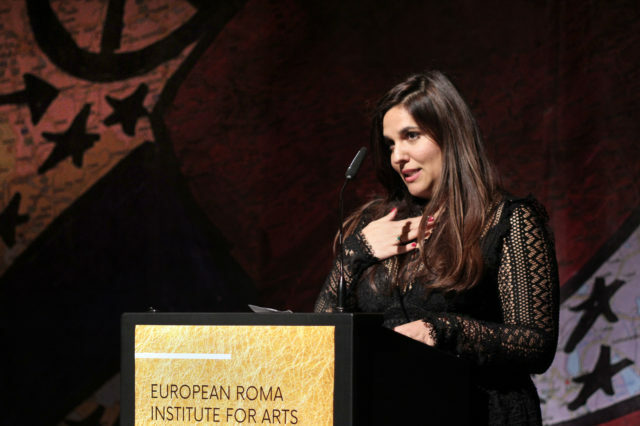 The “Roma Armee”, which premiered on 14 September 2017, was initiated by the sisters Simonida and Sandra Selimović and directed by Yael Ronen. 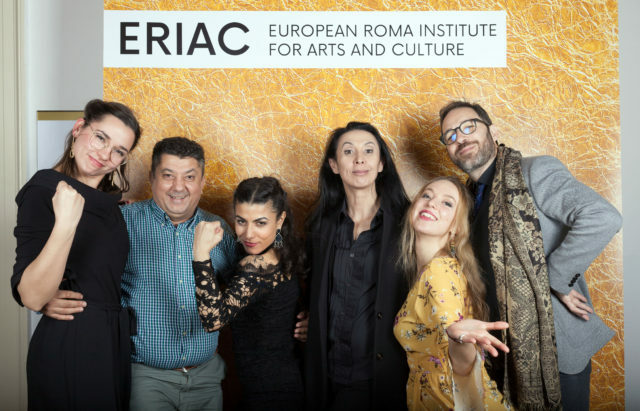 It brings together an international cast of Roma (Simonida Selimovic, Sandra Selimovic, Hamze Bytyci, Mihaela Dragan, Lindy Larsson, Riah May Knight) and non-Roma (Orit Nahmias, Mehmet Ateşçi) actors from across Europe in a powerful, provocative, and empowering performance. 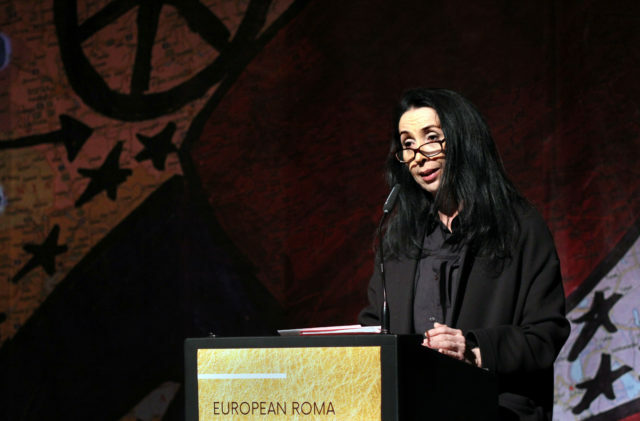 Based on a joint research process, personal experiences, historical contaminations, and contemporary incidents of the cast members, the “Roma Armee” becomes a transformative manifestation of Roma self-reliance and affirmation. 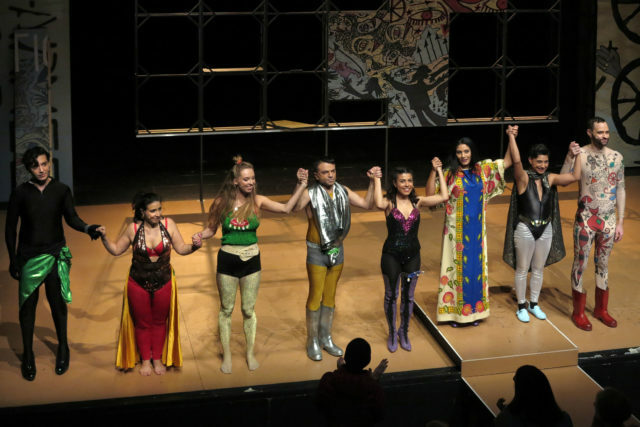 The scenography of the play, developed entirely by Romani artists Delaine and Damian Le Bas, the “Roma Armee” represents one of the most outstanding contemporary Roma cultural productions. 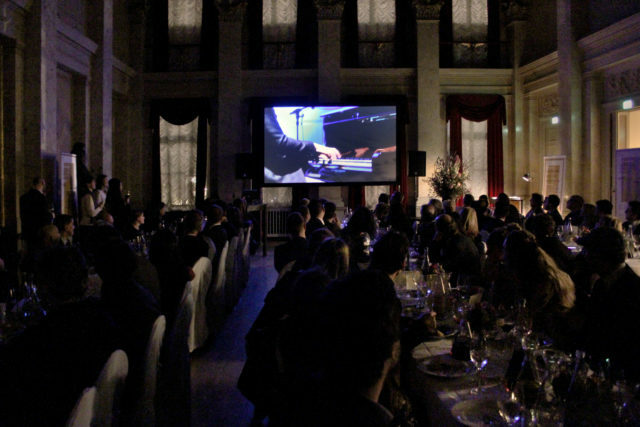 During the Grand Finale, ERIAC guests were invited to a reception in the foyer of the Maxim Gorki Theatre. 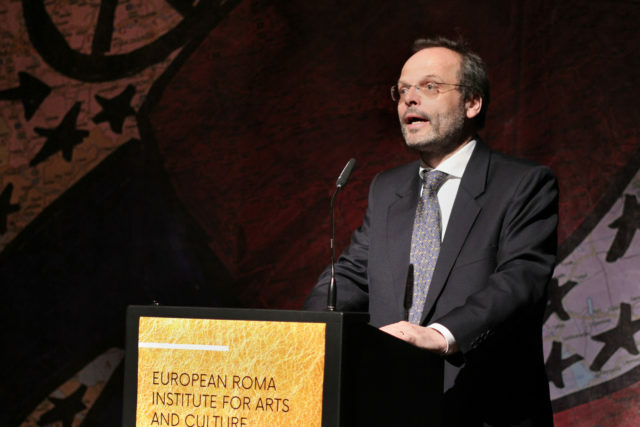 Then, all the guests attended the special welcome addresses before the special performance of the “Roma Armee”. 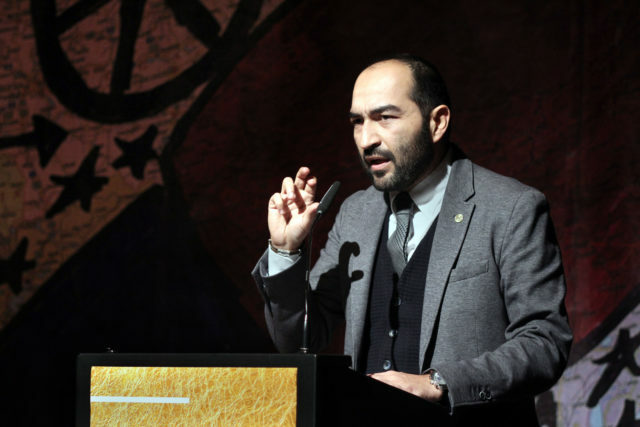 Zeljko Jovanovic, OSF RIO, was the host of the evening and directed words of welcome to the audience. Then, outstanding guests, founders, and supporters delivered their speeches: Patrick Gaspard, the OSF President, Felix Klein, the Special Representative for Relations on Jewish Organisations and International Matters of Sinti and Roma, Hortensia Völckers, the Director of Kulturstiftung des Bundes, Shermin Langhoff, the Director of the Maxim Gorki Theatre, and Timea Junghaus, the Executive Director of ERIAC. 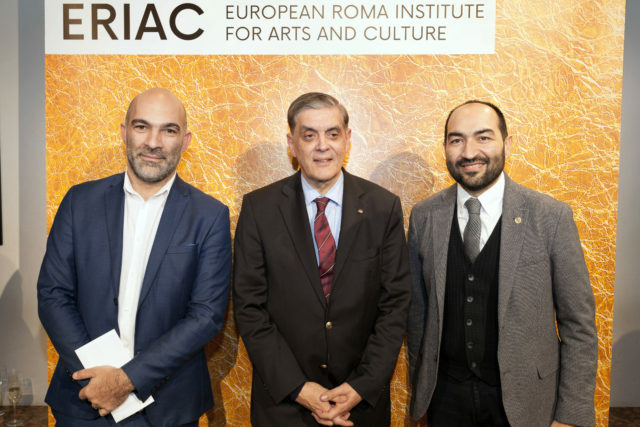 Following the speeches, the audience had the pleasure of experiencing the transformative power of Roma arts and culture in the play “Roma Armee”. After the play, the guests were invited to an evening reception and dinner at the Marmorsaal of the Maxim Gorki Theatre. Music was provided by DJ Gypsy Robot (Laszlo Farkas) throughout the night. A screening of the compilation of films from all events of the International Cultural Outreach Program was presented to the guests. 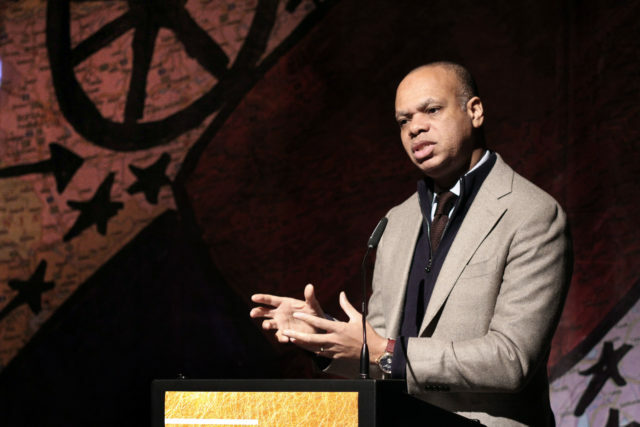 Patrick Gaspard, president of the Open Society Foundations.